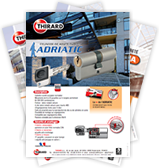 Thirard offers a wide range of products and equipment, specialised in the security of doors and windows with solutions adapted for professionals and the general public. Copyright © 2019 Thirard. All rights reserved. Mentions légales.